Are your thoughts leading you to live the fulfilling life God wants you to have? Ladies, our daily habits are the direct result of what we tell ourselves. Are your thoughts influenced by cultural soundbites — “Just do it! “You got this!’ “It’s up to you!” — or what God says in His Word? We might not realize how solidly we’ve bought into lies society has packaged as “truth.” Yet aren’t we only too keenly aware of our ongoing struggle with doubt, negativity, and disparaging self-talk? Like many women, Elizabeth grew up believing that she could handle life on her own. She didn’t really need God. In fact, she admits that in her daily life she kept God on a shelf unless she had a crisis. But when she finally decided to give Him control, she learned the sweet freedom that comes with trusting the One who holds each day, just as His Word promises. This adventure of discovering God’s faithfulness transformed every aspect of her thinking — and she wants the same for you! Where you’ve limited the truth of God’s Word. The 5-step process that will help you develop an intentional mindset to reject cultural lies you’ve owned about yourself and God. How to consistently live a meaningful life of significance, despite setbacks and periods of reverting to old patterns of thinking. How to drop the façade of perfection and find freedom in being the woman God made you to be. Though society tells us that a successful life is all about what we gain for ourselves, ultimately we will miss the full life God has for us unless we give Him control. Beat your negative thinking! Build the life you want today! 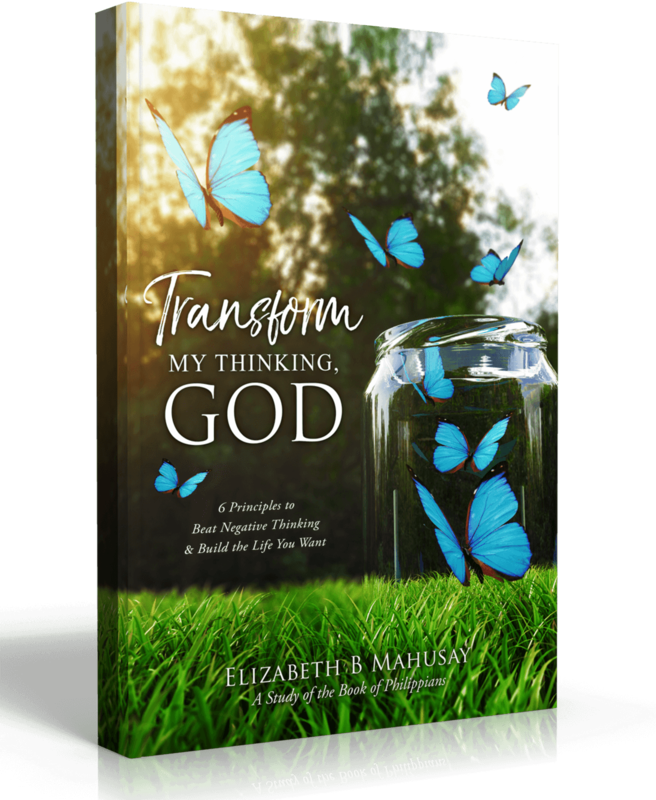 Elizabeth Mahusay is a seasoned women’s Bible study writer and teacher who speaks around the world. She is married to her high school sweetheart, has two sons, and together with her husband runs a successful photography business. 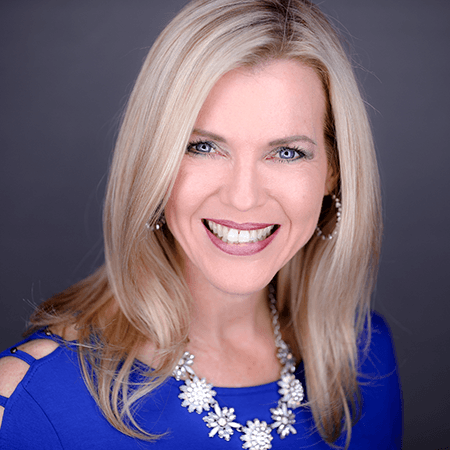 Her life mission is to help all women experience transformational thinking that leads them to impact the world. Elizabeth warmly invites you to connect with her at ElizabethMahusay.com.